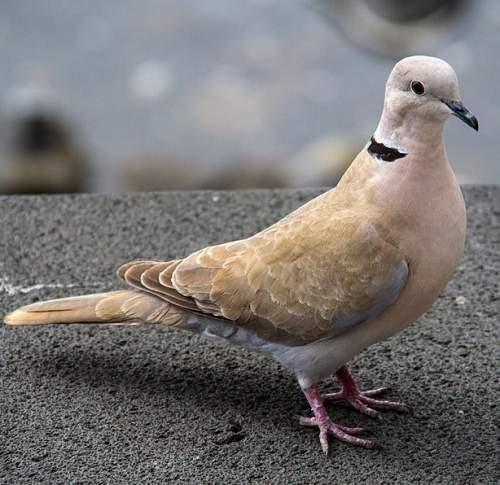 The Eurasian collared dove (Streptopelia decaocto) belongs to the family Columbidae under the order Columbiformes. The species Streptopelia decaocto is believed to have originated in Indian continent and nearby regions. 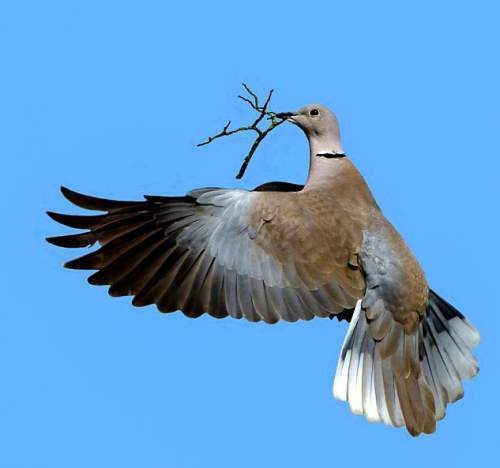 By natural dispersal and also possibly by human introduction, these birds spread and colonized Turkey and the Balkans in 1600s and 1700s. Much of Europe and northwest Africa was rapidly colonized by these species in early 1900s. In 1970s, from an aviary in Bahamas, nearly 50 S. decaocto escaped and established themselves in Caribbeans. In 1980s, they successfully colonized southern Florida. By the year 2007, these species colonized the continental USA. The dispersal method of these Streptopelia decaocto species is described as "leapfrog" or "jump and backfill". New populations of the birds appear hundreds of kilometers away from the known range and subsequently the in-between area is colonized. 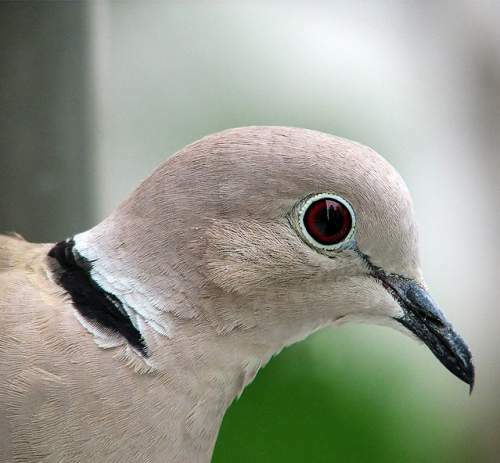 The Eurasian collared dove are one of the most successful terrestrial invaders and colonizers among the birds. The spread is closely related to human activities, which are known to reshape ecological processes. These species have high degree of commensalism with humans, their distribution is associated with human settlements. 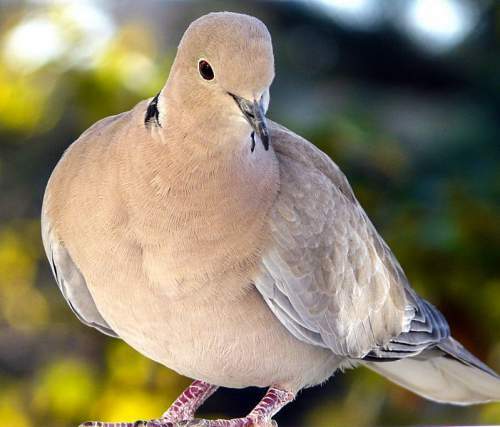 The increasing urbanization and also climate change allowing for longer breeding seasons. 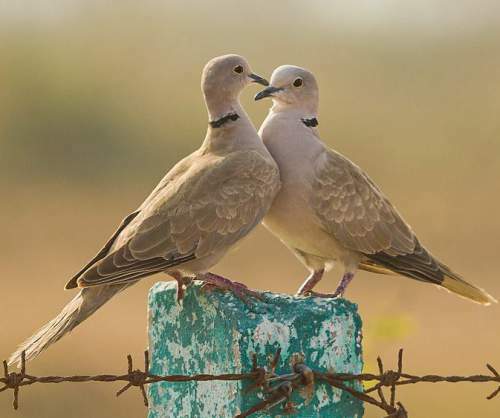 The ever expanding agriculture and food production activities increased the abundance of food available for the birds, which is one of the most important factor in the breeding success of a species. 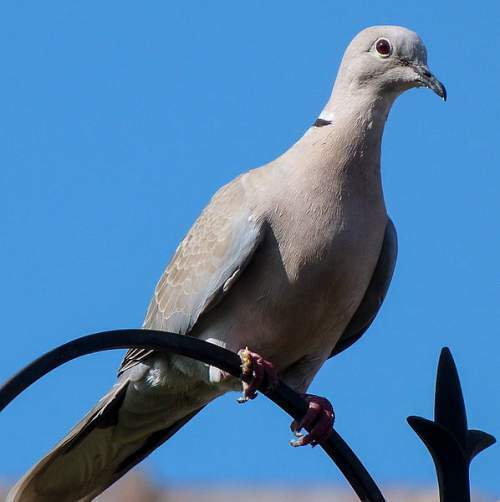 Current topic in Birds of India: Eurasian collared dove (Streptopelia decaocto) photos.